KTuner Flash-based system for 2016+ Civic 1.5 Turbo. 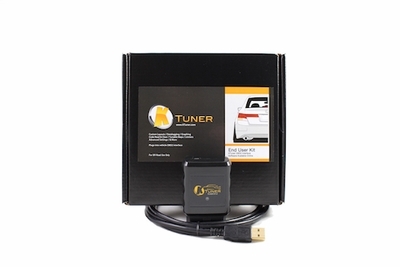 The KTuner Flash system allows you to reprogram/reflash your stock ECU directly over your OBD2 diagnostic port. No need to remove your ECU, etc. Simply plug the KTuner Flash system into your OBD2 port under your dash and reflash or tune your car using the KTuner software. KTuner is currently offering two research calibrations with more to come in the future. Both can be ran with 87 octane fuel, but running 91+ will give the best results. Stage 1 (CVT and MT): Improved throttle response Removed throttle dampening on low end, better performance off the line Reduced turbo lag Improved low-end and midrange torque Boost raised to 18psi Producing a much more sporty feel, drivability, and additional top end power!